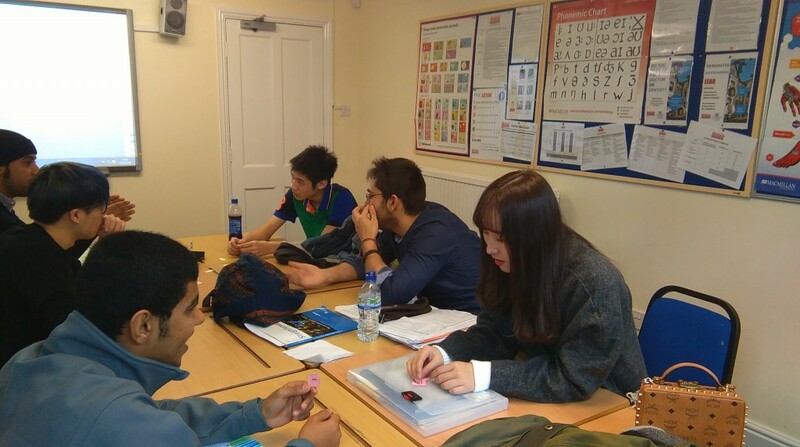 If you’re wondering what it’s like to study at an English language school, look no further than this blog post! Select teacher Jo tells us all about her A1 and A2 classes and one-to-one tutorials. 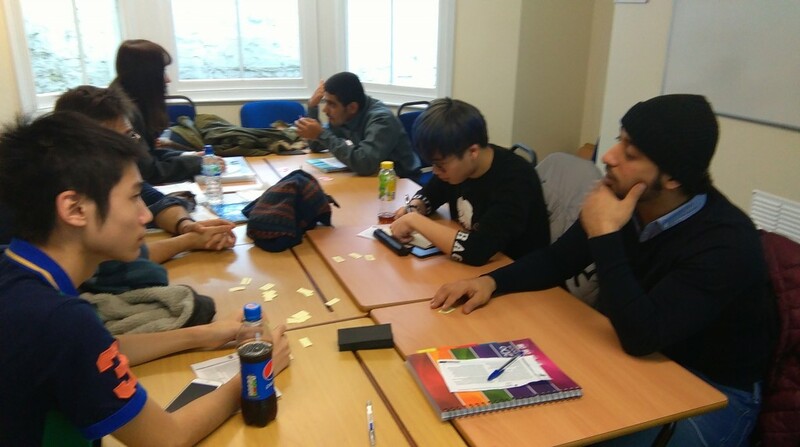 Last week our A1 class learnt some useful language to help them communicate in the classroom. They made posters, so that they can see and use the phrases during lessons. 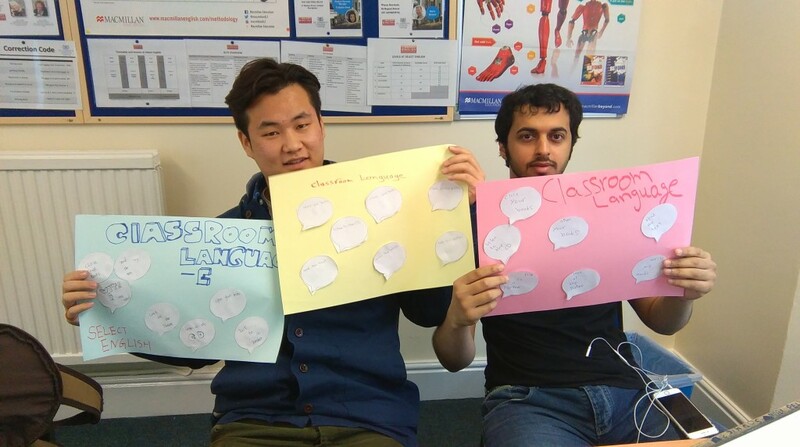 Here are Joyce from China and Ahmed from the UAE with their posters. 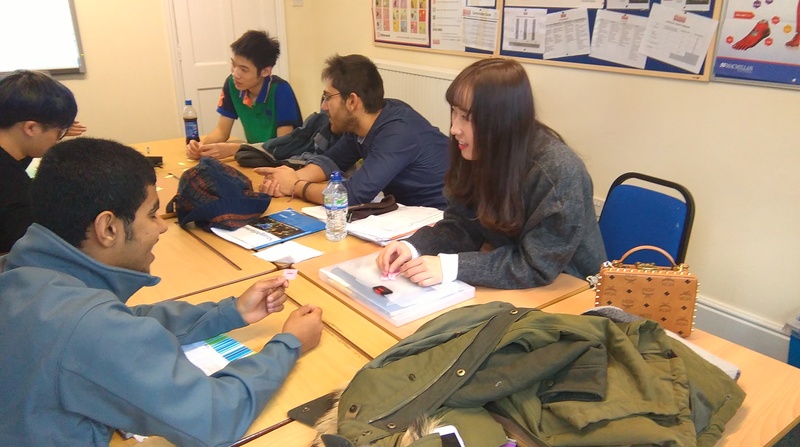 Meanwhile our A2 Pre-IELTS class (Joe, Melody and Yifu from China, Khalifa and Mohammed from the UAE and Fabio from Italy) have been studying language connected to families. This is useful for their IELTS speaking exam when they may have to talk about someone in their family. Here they are playing a game to test each other on words we studied the day before. Each student tells their group the meaning of a word/ phrase. 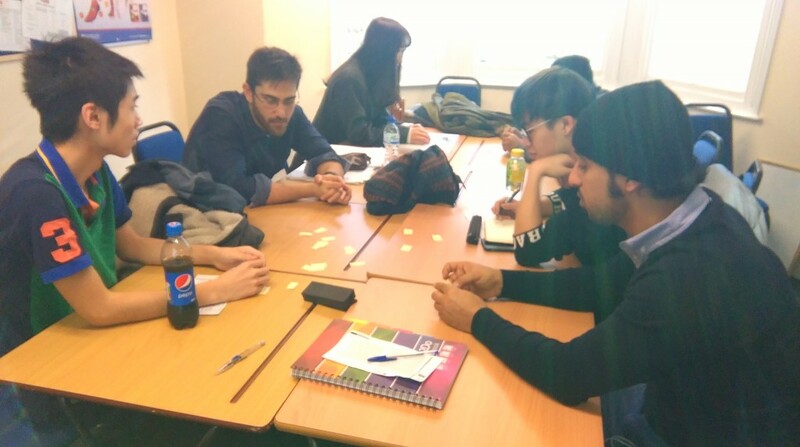 The group have to guess the word. We think it’s useful to review language often and practise using it. This helps students to remember it. All our classes do tutorials with one of their teachers every two weeks. This is a one-to-one conversation where students can talk to their teacher and discuss their progress. They also set objectives for the next 2 weeks, which are linked to their long-term goals. We think this is useful as the teacher can give students personal advice about improving their English. It also helps teachers to plan lessons that are relevant to student needs and interests. Students take their tutorial booklets home when they leave the school so they have a record of their objectives and how they achieved them. 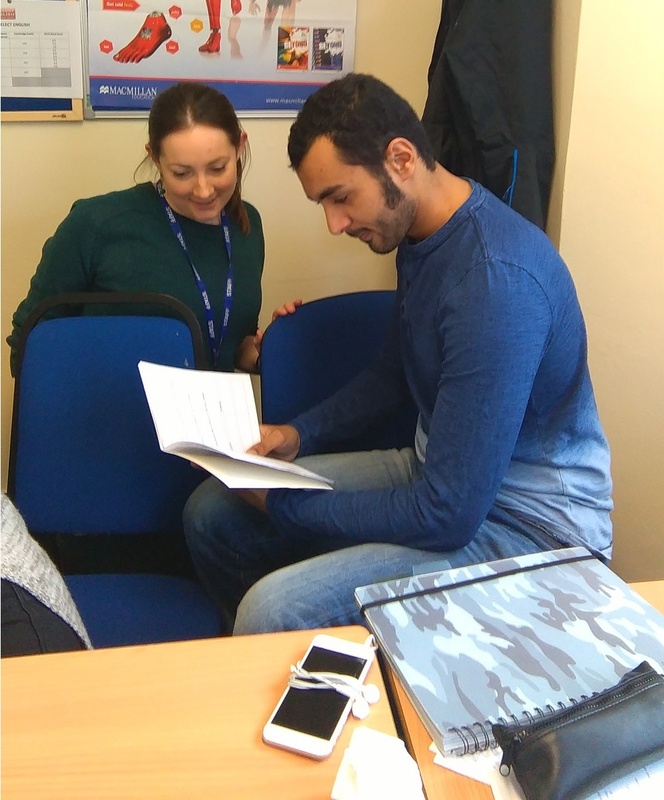 Here is Rashed from the UAE, who is in our B2 class discussing his objectives with his teacher, Jo. For details about our year-round courses, or to make a booking, click here. And for more photos and news about life at Select English, like our Facebook page.